Viburnum opulus ssp. trilobum var. americanum.USDA-NRCS PLANTS Database Herman, D.E., et al. 1996. (Accessed 6/2014). 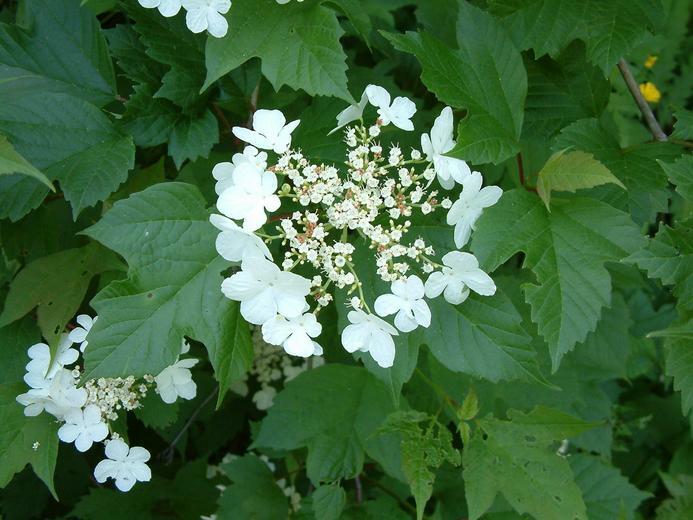 Viburnum opulus var. americanum is a shrub, to 4 m tall; stems gray-brown, smooth, winter buds green, two-scaled. Origin: Native to Putnam Co. and north. Habitat: Planted. Prefers soil pH 5.5-7.5 (USDA, NRCS 2010). Notes: Separated into different species by Rehder (1986) but not by Gleason & Cronquist (1991). V. trilobum is rarely offered by nurseries. V. opulus var. opulus is usually planted in restorations as an unintended substitute for V. trilobum.